Wolves reward for knocking out Stoke City and Liverpool in the third and fourth round of the FA Cup is a game against Premier League leaders Chelsea. Antonio Conte will be stepping up his quest for a domestic double as the Blues are clear favourites to progress into the quarter-finals. Its a chance for the fringe players to come into the squad to show Conte what they can do. Marcos Alonso and David Luiz will be rested, John Terry could replace Luiz who has struggled with a knee injury in recent weeks, while Nathan Ake and Kenedy are options to replace Alonso at left wing-back. Diego Costa and Eden Hazard could continue, while Cesc Fabregas is also likely to feature. Asmir Begovic in likely to replace Thibaut Courtois in goal. Fringe players Ola Aina, Nathaniel Chalobah, Ruben Loftus-Cheek and Michy Batshuayi could also make a starts. Wolves are up against odds of 8/1 with Sky Bet to claim another major scalp, with Chelsea 4/11 favourites to progress in 90 minutes while the draw and a resulting replay is a 4/1 chance. Alternatively SuperLenny is a great option for live odds on tomorrow’s game. The last team to knock out both Chelsea and Liverpool in the same FA Cup campaign was Barnsley in 2007/08. The last time Wolves and Chelsea met in the FA Cup was in Round 6 in 1993/94, which saw the Blues win thanks to a Gavin Peacock goal. 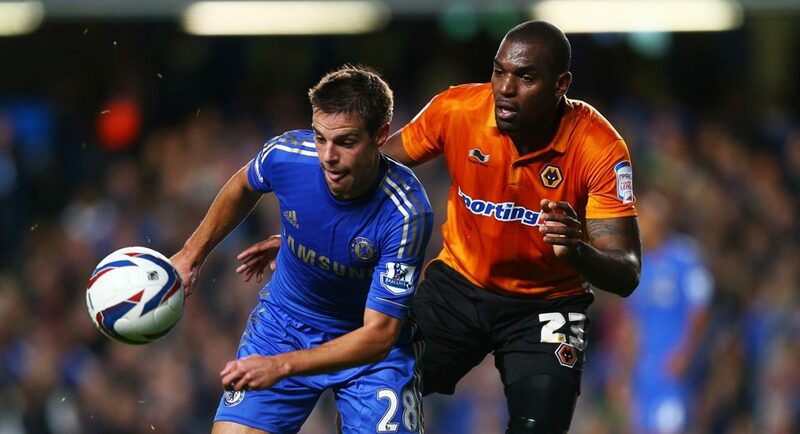 Wolves were beaten 6-0 in the Capital One Cup by Chelsea in September 2012. Gary Cahill scored the opening goal while Victor Moses scored the sixth. Pedro has scored three times and assisted another two goals for Chelsea in the FA Cup this season. Chelsea have won nine of their last 10 games in all competitions v Wolves (L1), keeping seven clean sheets in the process. Wolves knocked out Liverpool in the last round, tomorrow’s game could be a step to far with the way Chelsea have played this season. Also the blues have no European football this season so are focused on winning the FA Cup.